Hi! I have something fun to share with you on this August long weekend. Chris and I have decided to challenge ourselves, for the next year we are not going to purchase any new clothing. We will buy second hand, accept gifts (not that we're expecting any) and may even produce some of our own wearables! Really got to get practicing that knitting! Ha ha! I invite anyone who this may interest to take this challenge along with us. It should be an exciting experiment, and hopefully, something of a learning experience. I've always enjoyed self-challenges. I've never been one for physical fitness, but the idea of putting yourself out there and doing something that scares you appeals to me. Someone might train for a marathon or become a great yoga master. I tend towards personal challenges that are social or lifestyle based. When my brother and sister and I were kids, we challenged ourselves to not watch any television for an entire summer. Now, when I think back on my childhood summer vacations, they all sort of blur together in my memory, but that one T.V free season stands out for me. I remember our conviction and our pride and the bike rides and adventures that we took up in order to stay outside and stay busy. It was just a decision that we made, but it empowered us as children. As for the second-hand clothing challenge, it is really about not buying any NEW clothes. It is a post consumer culture experiment. Through this challenge, I hope to clear a path for myself through the forest of materialism and consumerism. I have no problem with consumerism and economics as a system of exchange for goods and services in which people buy what they need and occasionally what they want, what I hope to escape is the kind of oppressive consumerism in which I find myself buying clothing constantly as an attempt at self-definition. This year of shopping at Value Village is not meant as a time to turn away from clothing and style altogether, in fact, I could never do that! What I hope, is that by searching through consignment shops (and avoiding the malls full of models and giant advertisements) I will have a chance to explore style (and even fashion) as a form of beauty and self-expression. And I will turn away from fashion as a marker of status and/or finance. 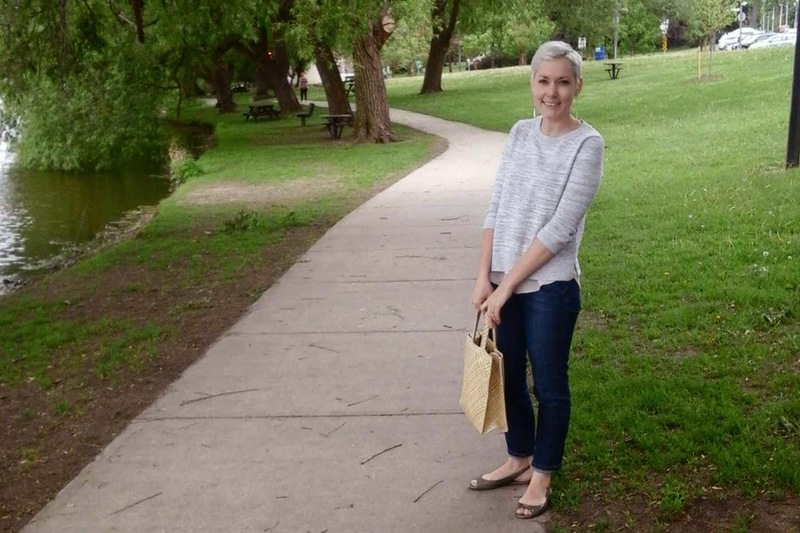 I also expect that narrowing down my shopping options may actually help to clarify my own personal style, and lift the fog of the ever-revolving trends, in-demand designers and seasonal style must-haves. Ah, this is a subject that I could write about for days. And these are things that Chris and I discuss often (he helped me to write this essay). But I will end here. I am excited to begin this year of second-hand shopping! You can expect updates on how our year goes, but mostly I'll probably just post photos of my amazing Value Village finds! Please join us if you are interested, it's going to be so much fun! 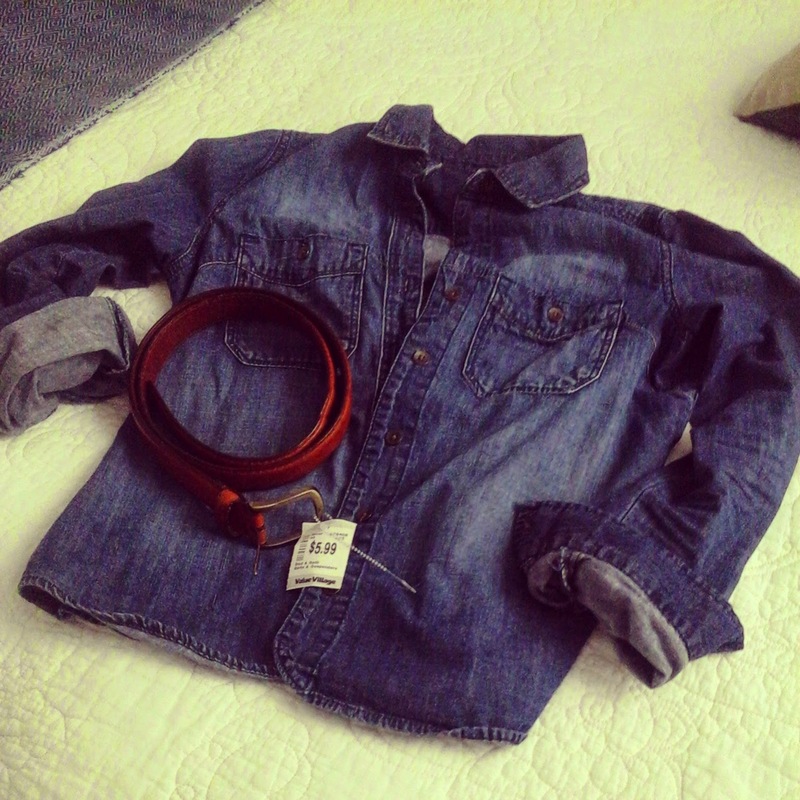 denim shirt, perfect for this fall, and a leather belt for Chris. 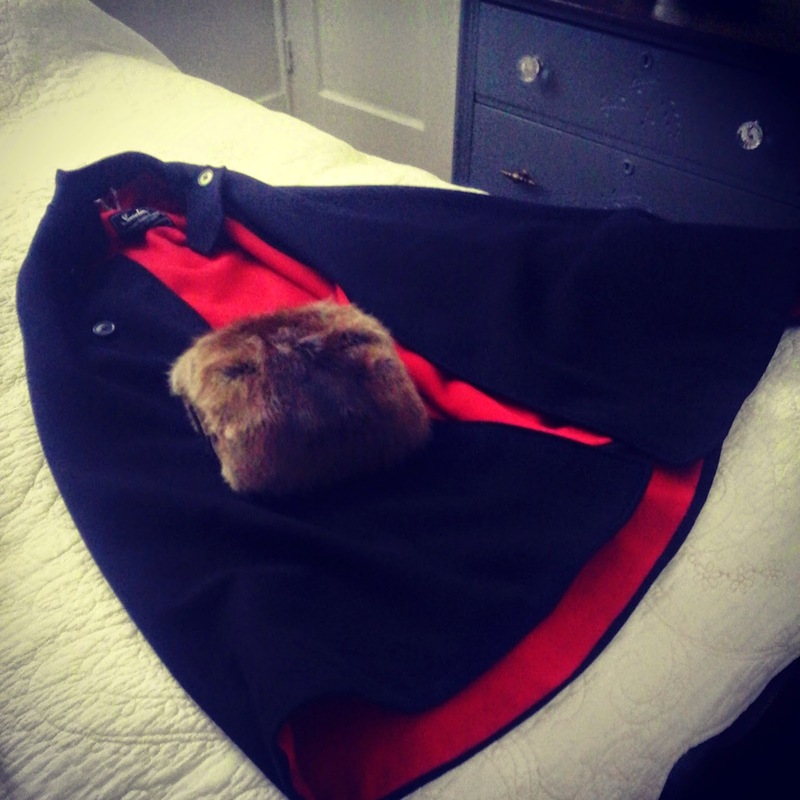 my navy wool nurses cape, and my rabbit fur muff.